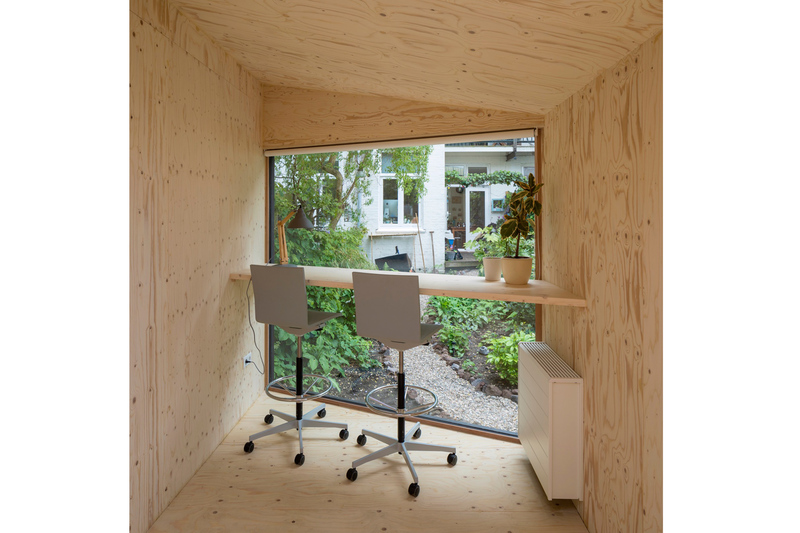 The garden room will be used as a workplace most of the time. 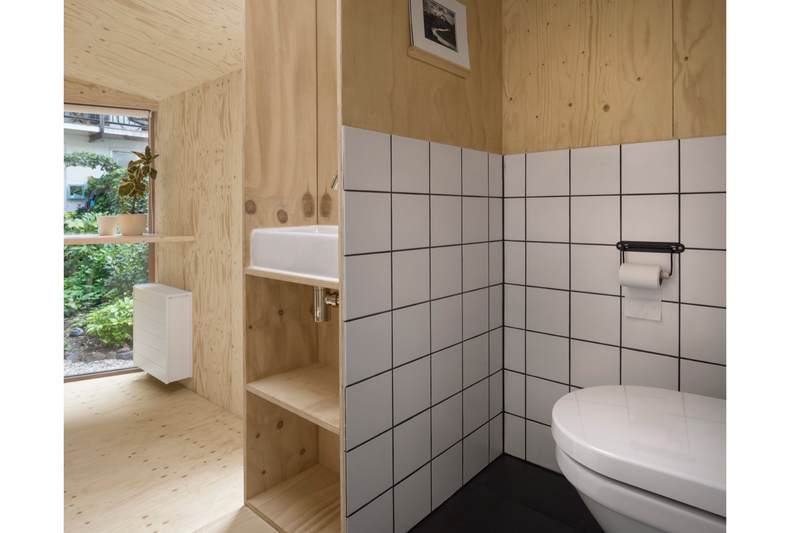 There is a small bathroom + a roll-out bed, so it can be also used as a sleeping space. The short side has a large window overlooking the garden. 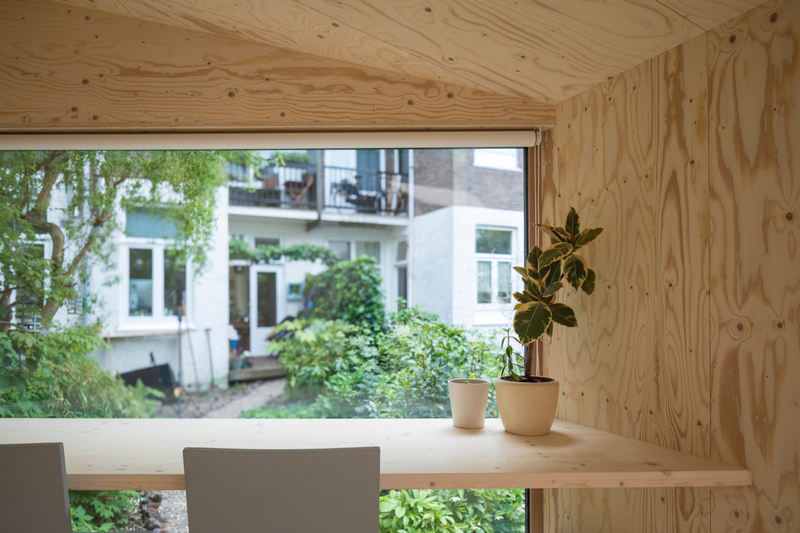 The house has a pitched roof for optimal sunlight in the garden and to create a more dynamic spacious exterior-interior. The slope of the roof goes from 2,1m to 2,6m height. 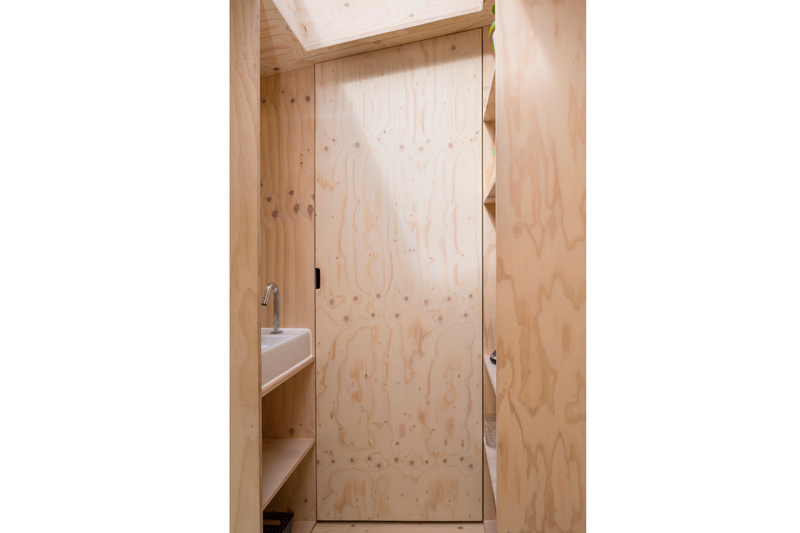 The bathroom and studio room are seperated with a wooden custom-made closet. 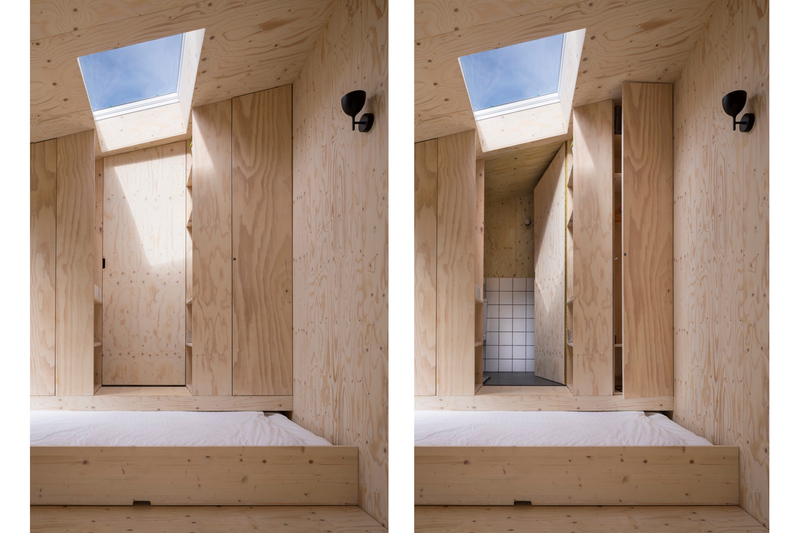 The ground floor is elevated at the back (bathroom) so that the bed can be pushed under the bathroom. 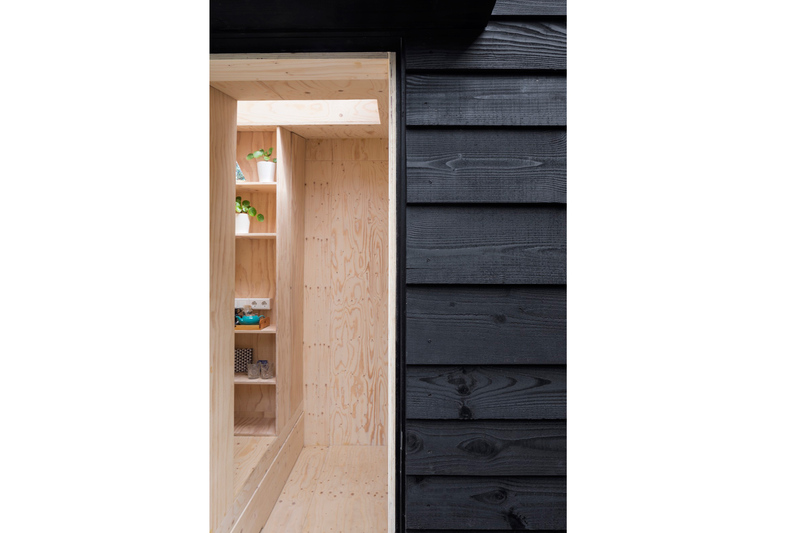 The exterior is cladded with black Swedish wooden planks to emphasize the contrast with the warm light interior space. 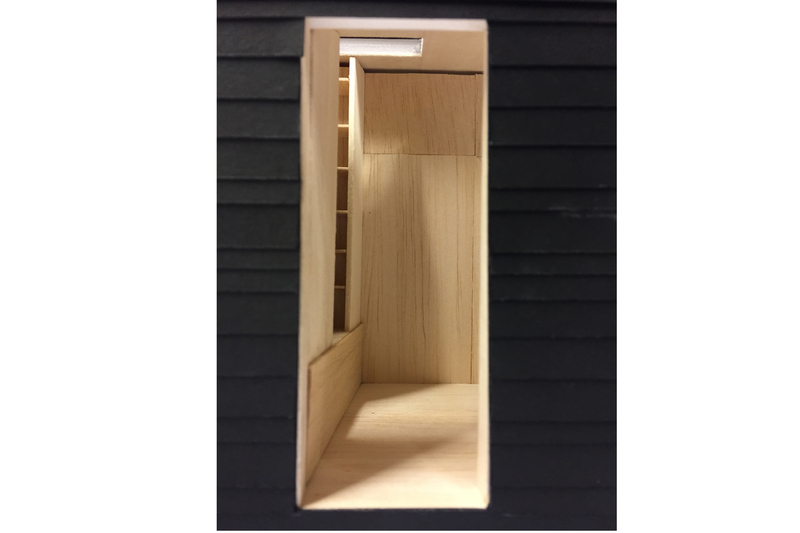 We treat the room as an object by making all the exterior facades (incl. roof) of one material. 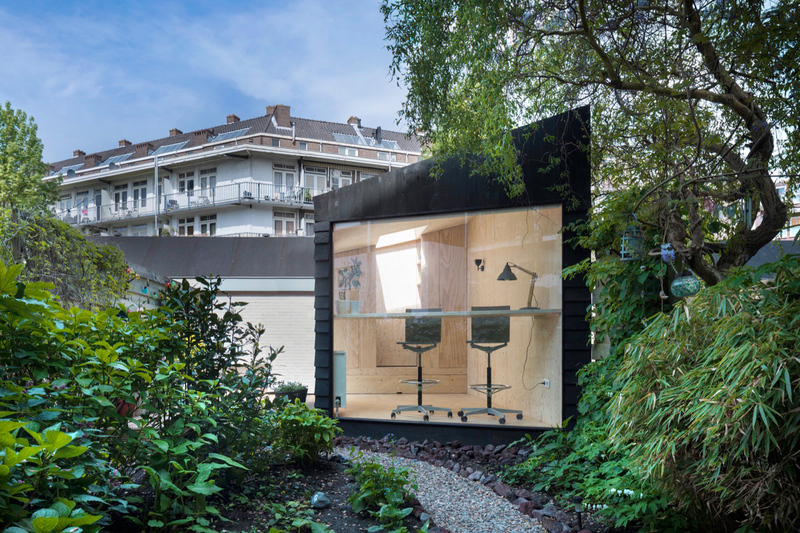 Garden house ‘De Hoek’ can be seen as a getaway from the busy streets of Amsterdam.